How are you doing with your marketing campaigns? Are they successful and getting you the results that you want? Okay results are fine. That’s a great start. But even good results aren’t great, and when it comes to your business, you want to hit it out of the park. No matter how strong your current campaigns are, sometimes you can benefit from a new, creative marketing strategy to shake things up. You can re-engage your audience in new and exciting ways, or even find a whole new way to connect with new audience members. We’re going to give you some specific ideas for 14 different creative marketing strategies that you can use to shake things up and enhance the campaigns that you’ve already got up and running. It’s so easy to get wrapped up in online marketing that you end up forgetting about offline marketing. 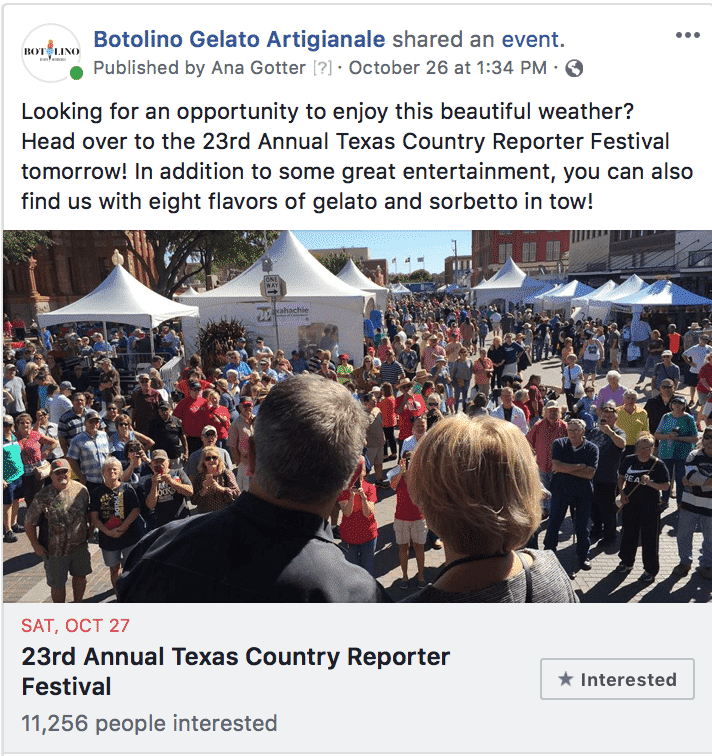 Even if your business doesn’t have a conventional brick and mortar store or has multiple locations, you can still participate in local events for places you’re based out of. Have a booth, a few games and potentially something like free water or lemonade so people will stop by to chat. In these cases, be real. Don’t be waiting to just throw in your elevator pitch and talk over everyone. Have actual conversations with people and send them home with a business card or branded content. A dental firm could send people home, for example, with a pamphlet on recommended products or best practices. Never underestimate the value of building that in-person connection that happens when you venture out into your community. When you participate in local events, post on social media before and after so people know to come find you. In addition to content marketing and guest posting, appearing as a source for someone else’s articles is a great move. It establishes you as an expert quickly, because someone else thought you were important enough to get advice on. And, even better—you just have to give a quick quote instead of writing and pitching the article elsewhere. If someone asks you to provide a quote for an expert roundup or for an article they’re writing, say “yes” as long as it could help your business. Sometimes you can find public requests on Twitter or LinkedIn and you can reach out and see if you can help. You can also sign up for tools like HARO, where you’ll get notifications from journalists looking for sources for their articles. Sign up as an expert source for the category or categories your business falls into, and scan the emails for articles you may be a fit for. 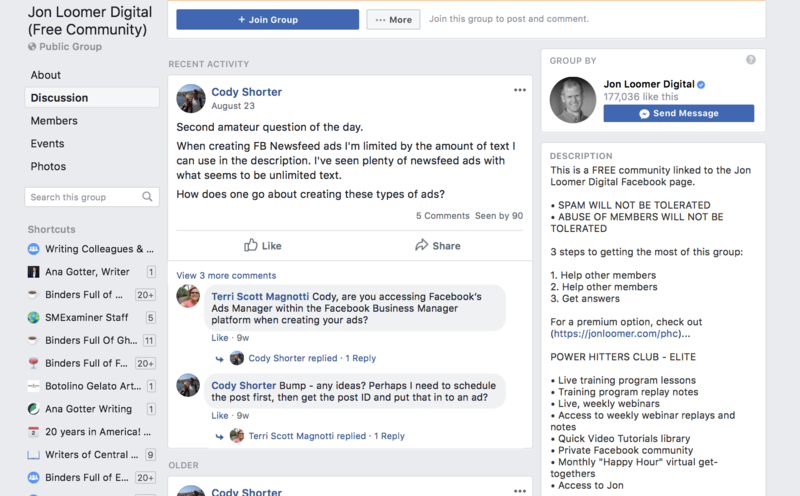 Social media has shifted towards community building instead of just an outright race for the most followers and a great way to effectively build a community is to start a Facebook Group for your customers. 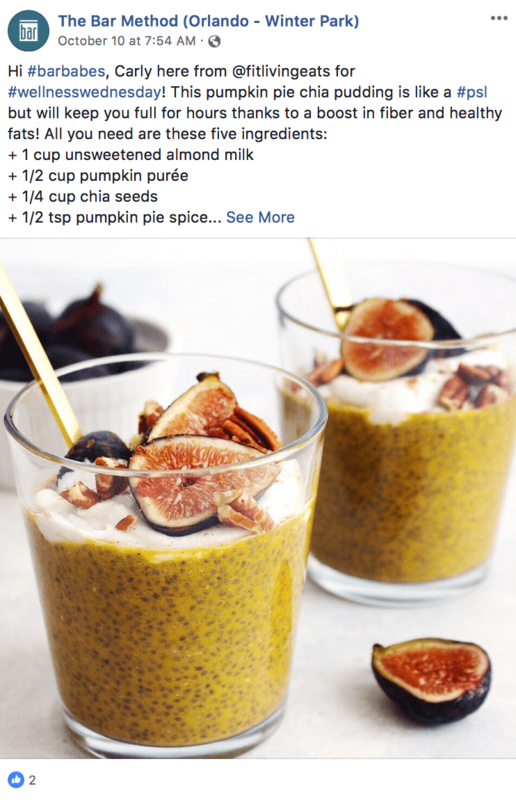 Increasing numbers of businesses are starting branded Facebook Groups. These groups are built for customers and may or may not require that the members are active customers. They offer value and in many cases provide access to insider tips, trained experts in the field and customer service representatives that can help you quickly and directly. Plenty of marketing agencies have groups where customers can ask specific questions about running their ad campaigns and one of the expert team members will answer. Other members can chime in and they can also benefit by reading the discussions. Meal delivery companies could create groups focused on overall healthy living and a furniture store could have a group focused on design and decoration. As long as you’re offering value through the group and not just promoting your product over and over again, you’ll be good to go. 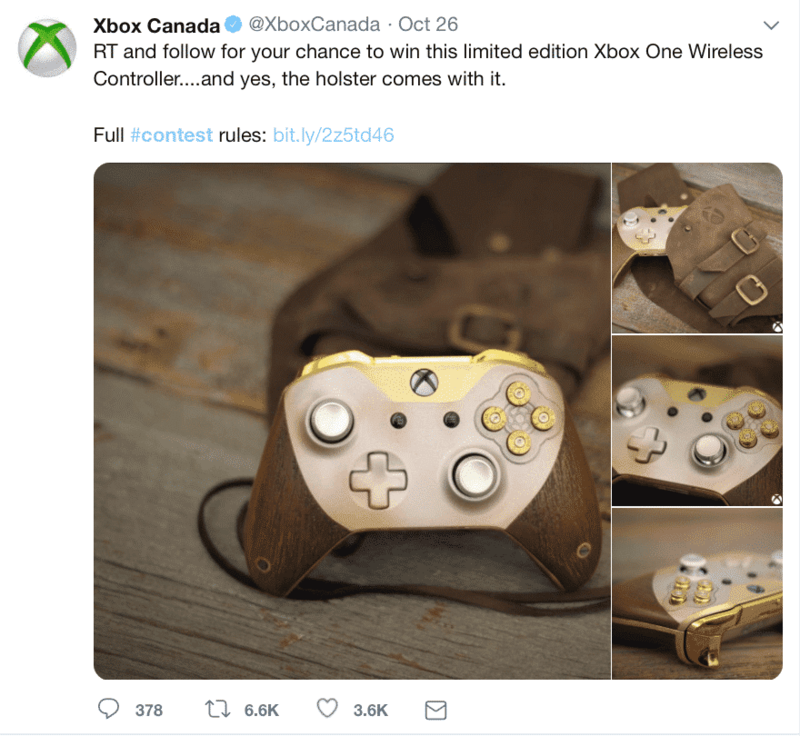 Contests require just a little planning and an investment into a prize and can deliver great results: sales, online engagement and user-generated content galore. Caption contests, where users are asked to provide captions to an image of your choice. Share contests, where users will share a single post or select a pin from a group of pins on Pinterest in order to participate and potentially win. When it comes to social media contests, I always recommend that my clients use social contest software. My go-to choice has always been ShortStack, though there are other great options out there. You’ll get real-time analytics on contest performance and users can submit their entries through a landing page so it’s easier to track, you get bonus features like voting and age restrictions, and you can capture actual lead information, too. Your product or service is better than your competitor’s, right? At least where some of their customers will be concerned? Go ahead and use the fact that they already have some sort of relationship with your competitor to your advantage when running PPC campaigns. On Facebook, you can target users who have certain interests and in some cases (not always) those interests can be individuals or businesses. Use this if possible to target your competitors’ customers. When it comes to Google Ads, you can actually target your competitor’s brand as an actual keyword. 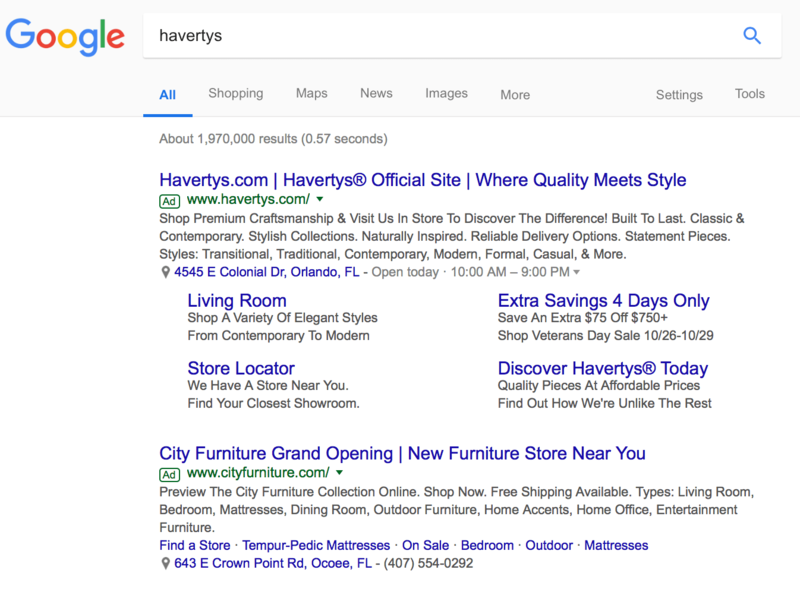 In the example below, City Furniture has clearly targeted their competitor’s brand “Havertys” as a keyword. This can be a good play, because it allows users who are looking for exactly what you offer to potentially discover you. These can be risky options. Sometimes, a customer may be dead set on that brand that they’re already connected with. It can also be harder to rank well for those keywords than the competitor themselves, so you may still be falling in at a slightly lower placement. Still, it can be worth a shot and I’ve seen campaigns successfully poach traffic from competitors and actually get sales as a result. This marketing tactic is really simple. Everyone loves free stuff, and they hate taking risks (especially when it comes to money). Eliminate the risk and capitalize on the love for everything free, providing samples and freebies for new products. You can offer free samples exclusively to new customers or include it in a bundle where customers buy a certain item or purchase value and then they get the new sample. You can also offer brand new releases to already established customers, or to influencers. You know that your product is great, after all—let it stand for itself. The profit you see back can easily be worth it. Offering value is always a great option here and you can find new and innovative ways to do so. Content marketing is typically a good medium for this, but you can share the content—including video content—on other platforms, too. Think video tutorials for how to use your product, infographics on what to watch out for from the customer’s perspective, or blog posts that let people know what’s going on the industry. When you’re not trying to aggressively make sales, you’re offering value, and that leads to more trust and better relationships. And that, ironically enough, often leads to more sales, too. Video marketing can be overlooked because it’s seen as too expensive or too intimidating, but that’s a mistake. It’s an incredible medium for storytelling in a quick, digestible way, allowing you to tell your brand’s story and make an emotional connection with your audience. By their nature, videos can also get a lot of information across very quickly and very dynamically. 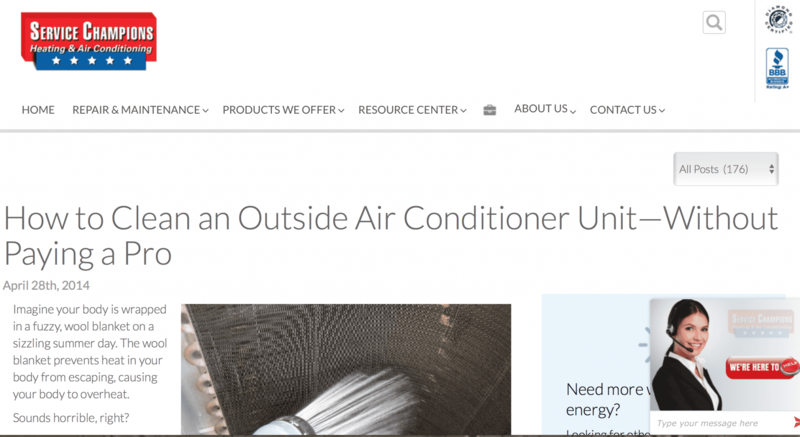 This keeps users engaged and demands their attention much more effectively than chunks of text. Videos can do everything from demonstrate how to use a product to what you do behind-the-scenes, and they can do it well. My personal favorite use is to create explainer videos or brand story videos that are used to quickly draw new users in and engage them in a memorable way. Being ethically minded as a company is important for a number of reasons. In addition to putting good out into the world, it can also be a powerful marketing strategy, too. Customers care about businesses with strong morals. One study even found that 57% of customers would be willing to buy a product of lesser quality than a competing option if it was more sustainable or ethically created. No one wants to feel like they’re complacent in funding sweat shops or aiding homelessness and everyone feels good doing business with a brand who is trying to make the world a better place. If you have an ethical mission close to your heart, make it visible. Include it somewhere on your site, or post regularly on social media. Even if you’re just collecting toys for Toys for Tots or donating to local charities, highlight it. 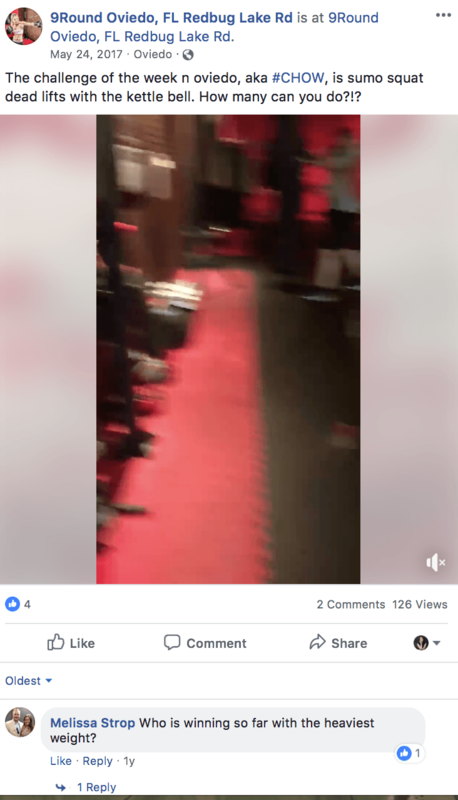 This is the sort of thing that customers love to see, and it will boost your brand reputation. 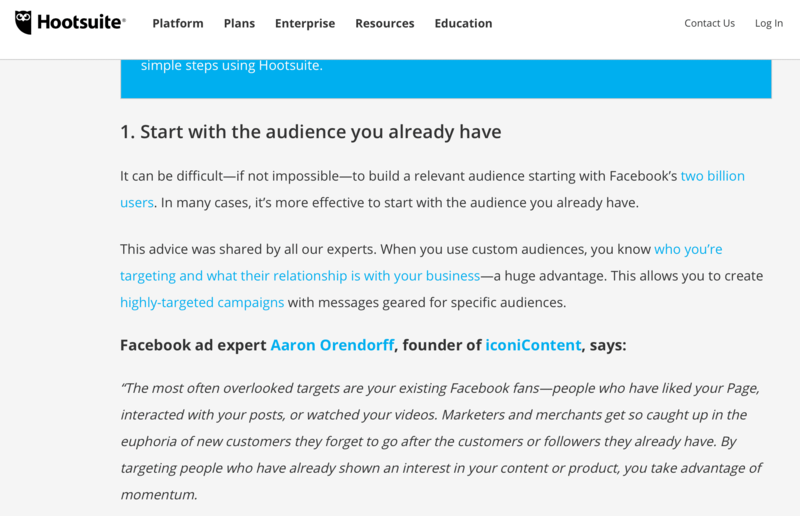 Influencers aren’t the only people with accounts that can help connect you to relevant audiences. Partnering up with other businesses can do a lot for you, especially when they’re complementary in some way. If your business shares a core audience with you, reach out to see if there’s an opportunity for collaboration. You could host a social contest with a joint prize with each of you contributing, or even have an event where you partner up. You can even just share content, promoting each other when relevant to your business. This is often particularly powerful for local businesses, where core audiences are easily shared and are loyal to the businesses they’re familiar with. Having their vote of approval can go along way, and you both benefit in the process. Challenges are one of the best and most underused ways to build a community while also driving a ton of social engagement (and potentially sales). Host a branded challenge on your site, in store, or on social media that’s related to your brand. Examples could include “complete our 14-day yoga challenge” or “write a blog post once a day for three weeks.” The idea is that it pushes the individual to get better at the skill they’re learning and engage with your brand frequently along the way. It can be competitive with a prize at the end, but it doesn’t have to be. Promote your challenge on your site, social media and through email campaigns. You can require that a special purchase is needed, or it can be for any and all customers. Encourage users to share their wins along the way, and publish daily or weekly check-ins to see how everyone is doing. This will generate a ton of engagement and can drive sales and brand loyalty, too. Whether you’re seeing up an official affiliate program or a customer referral program, these rewards can recruit willing participants to promote your business for you. These programs often involve payment for affiliates and credits, discounts or free products for customers referring others to the business, so there are a lot of strong incentives here. When it comes to rewards, you can also go simple. Think punchcards and points for purchases. This encourages customers to spend more outright themselves and doesn’t even involve them getting someone else to purchase. I’ve actually chosen to make purchases at one company instead of another because they both had the same product, but one had rewards points that eventually let me earn cash back (even in a very small way). To simplify the process, you’ll want to lay out clear terms for all reward programs, and use software to help track it. You can find a great overview of some of the best tools here, so see what will work best for the program you’re envisioning. Don’t really want to go through the hassle of setting up reward programs yourself? You can participate in larger third-party rewards programs, like iDine, which allows customers to wrack up points when dining at multiple restaurants instead of just one. 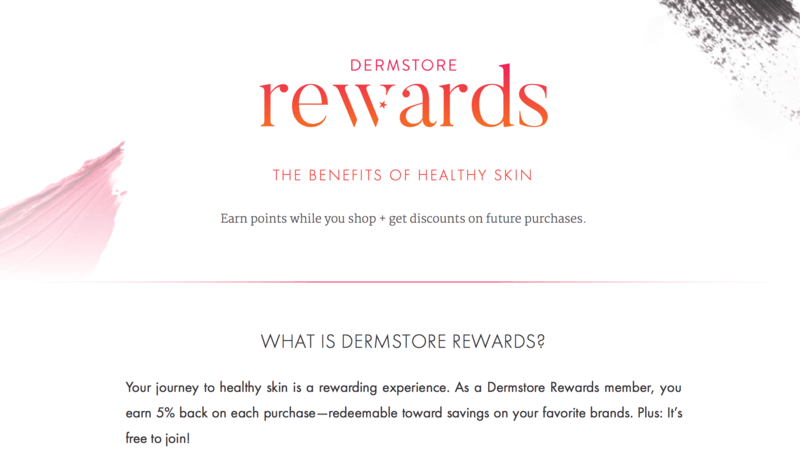 Third party rewards programs have their benefits. Customers care about rewards—they don’t always necessarily care exactly where they come from (depending on the business and their persona). 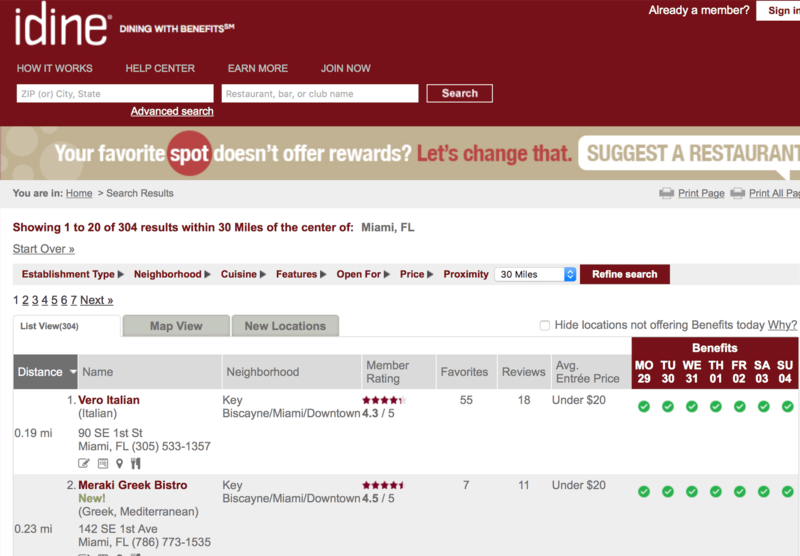 And in many cases, third party rewards programs typically give you a big benefit of exposure. Users who already use those programs—which may not belong to your existing customer base yet—will often see you listed as a participating business and can send traffic (and sales) your way. Decide what’s best for you upfront—a third party rewards program, or creating your own. This will be different for each business, so look at costs involved and potential benefits that will impact you most. One of the best ways to generate hype around a new product while boosting sales and making your best customers feel special is to roll out exclusive, limited releases before the big launch. You can trickle out the release of a new product or service, giving you time to scale while making it seem all the more desirable. This can be a limited-number beta test on a first-come-first-serve basis, or something that you offer to specific long-term or high-value customers. 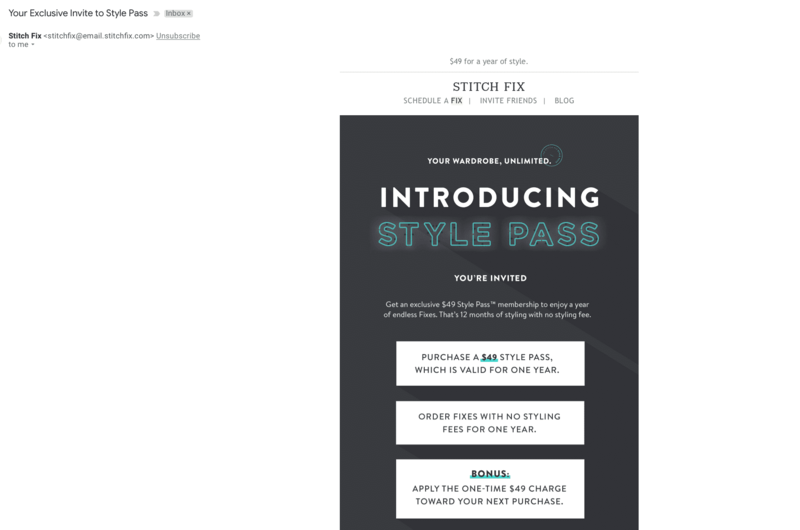 Last year, “personal styling service” Stitch Fix started rolling out a new Style Pass. Instead of paying a $20 styling fee that you lost if you didn’t keep anything in the box, you could pay a once-per-year $49 “style pass fee” that would go towards the next purchase. This made it easier for customers to purchase more, and they started rolling it out on a small basis. When they did, a lot of people in non-official trading groups were talking about it. This generated a lot of excitement and anticipation and, as a result, a number of people signed up without hesitation when they get their offer when they might have passed it over otherwise. Your core marketing efforts are often strengthened by being steady and consistent. Think content marketing, email marketing, social media marketing, and even PPC advertising in some cases—you’ll get best results over a more long-term period and by frequently engaging your audience when possible. 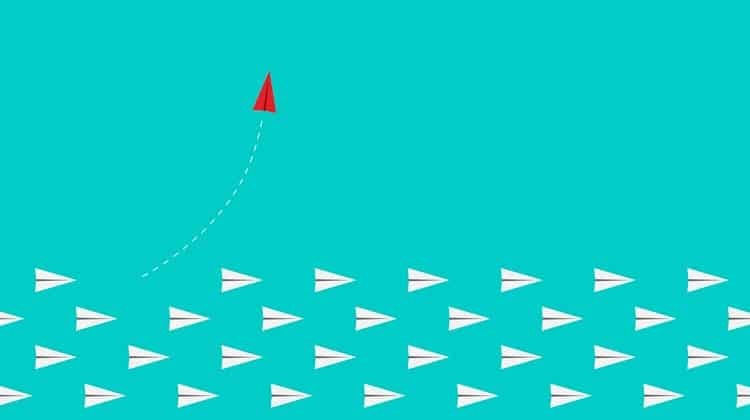 Once you’ve got this in place, it’s time to step it up by utilizing new strategies—even if only occasionally—to enhance the results you’re getting, establish brand voice, and reengage customers as much as possible. Are you looking for help with your PPC campaigns? We can find the best solutions for your business. Get in touch to learn more. What do you think? Have you ever tried any of these creative marketing strategies? How have they worked for you? Which will you be most excited to try? Share your thoughts and questions in the comments below.